Putting out fires and inspecting buildings really works up an appetite. I haven't bought toxins so fire chief and foreman are my favourite tough guys. (I'm level 11) Any other suggestions or tips for upcoming levels? 150 energy points, a very good stat. 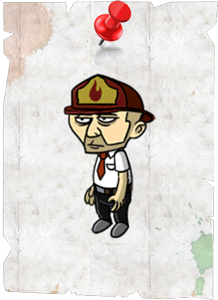 The Fire Chief is a very well-balanced zombie (good at offense and tips). For the cost of cash (0 vials), you can consider that a bargain.